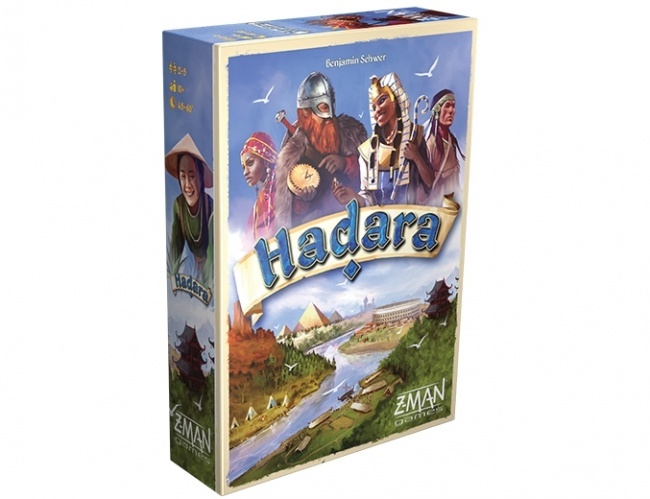 Z-Man Games will release its new civilization-building board game Hadara this spring. Named for the Arabic word for “culture,” Hadara is a game about recruiting people from a variety of different cultures to build a strong and balanced civilization. Different cultures offer important skills, from agriculture to trade to military, but players do not always control which cultures they can draw from. The center of the game board has a rotating wheel marked with the players’ symbols. 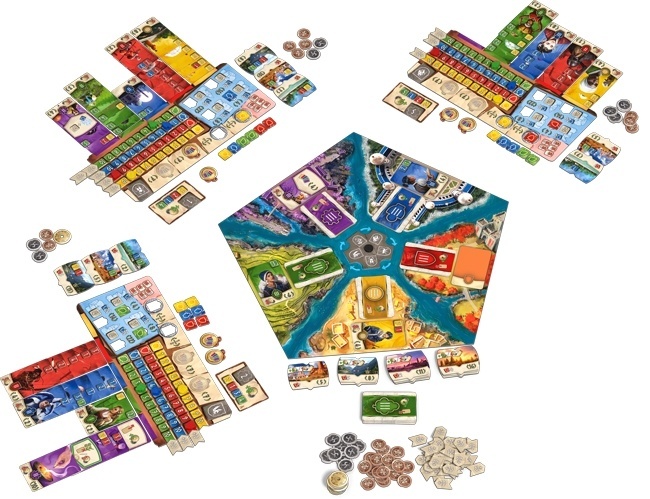 Each turn, the wheel is turned, and the player draws from the culture their symbol is pointing towards. By turning the wheel, players influence not only their own options, but those of the other players as well. The game is played over three “epochs,” each offering higher skilled but more expensive workers. At the end of the third epoch, the player with the most glorious civilization wins the game. 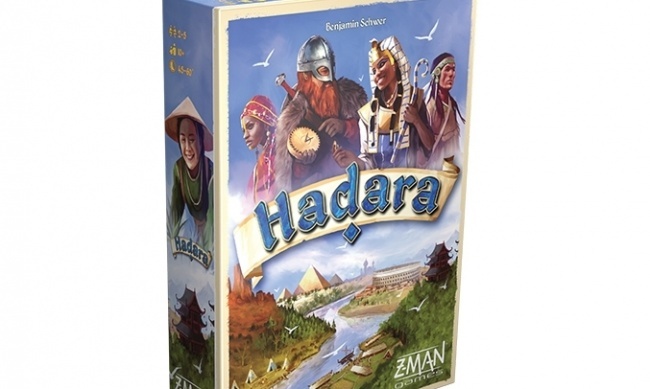 Hadara was designed by Benjamin Schwer (Crown of Emara, Livingstone) for 2 to 5 players, ages 10 and up. Games take a little under an hour to play. MSRP is $59.99. Z-Man is also releasing its retro-style space race game Lift Off in the spring (see “Re-Engineer the Space Race in Retro Style Game”).